As it heats up over the summer, staying hydrated is key. Flavored water can be a great way to kick up the taste of your water. 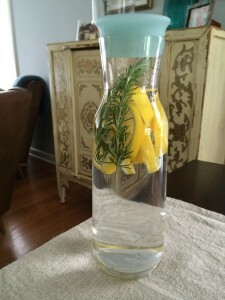 Just add any combination of fruit and herbs to a pitcher of water. Refill multiple times and enjoy! Here are a few flavorful ideas.